The one thing I lament about Williams' move from Sydney to Adelaide a number of seasons ago is that I never seem to be able to get good shots of him since he's been at Adelaide, whereas he was one of my more "photogenic" players at Sydney. Oh well, such is life. 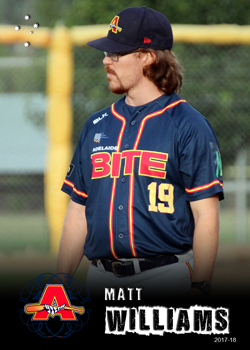 The 2017-18 ABL season was Williams' eight in the league and his fifth with the Bite.